blue stemmed vase about 12 inches H x 5.5inches Diam. 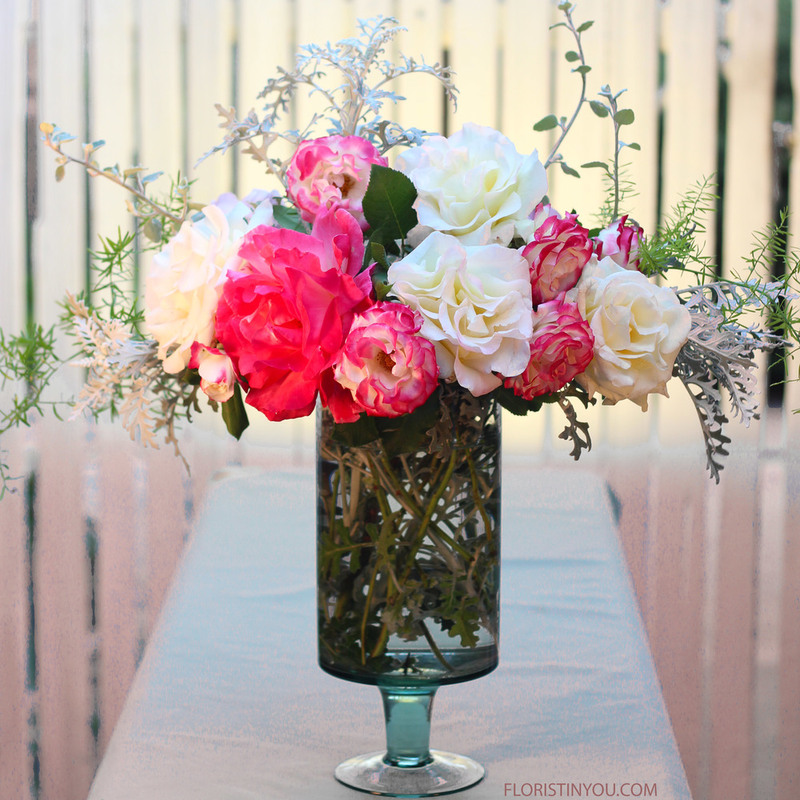 Here's an arrangement made with Garden Roses and Dusty Miller. I thought it would be perfect for Mother's Day if your mother likes roses and her last name is Miller. You don't even have to go to the store. 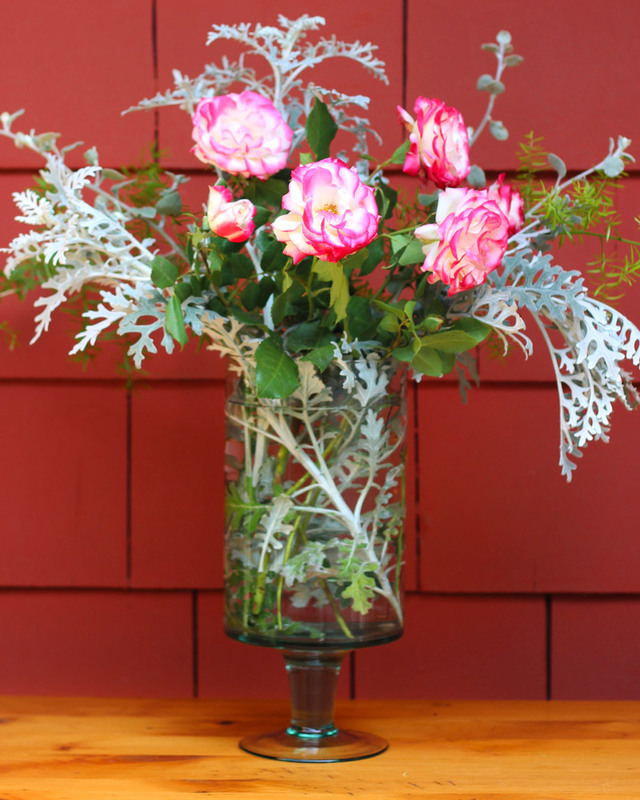 Just go out to the garden with your pruning sheers and cut some garden roses and Dusty Miller. I am lucky enough to have good friends who have incredible rose gardens. If you don't, maybe you should move or make new friends. No seriously, I would love my friends even if they didn't have beautiful rose gardens. 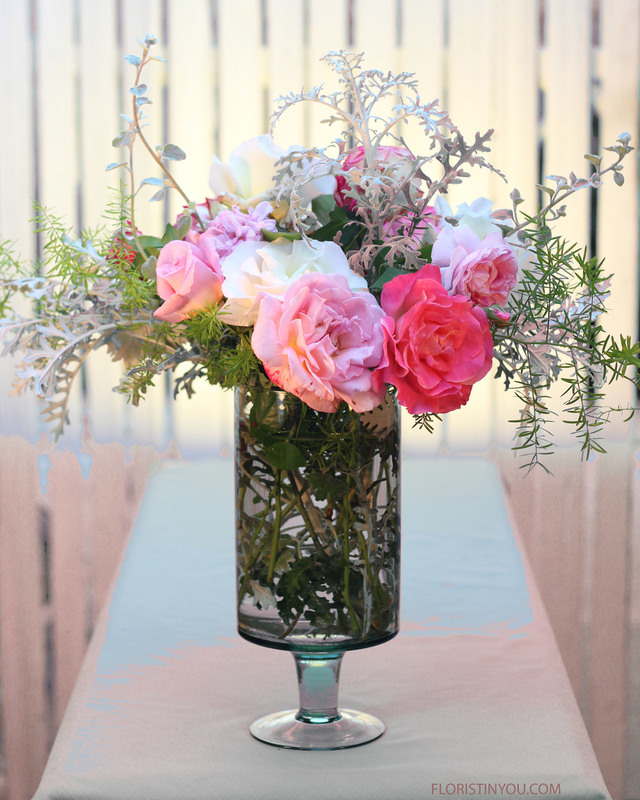 This arrangement is also made in a borrowed blue stem vase that is simply elegant. The silvery leaves looked so beautiful through the blue glass that I left them all on. It is a rule to "take off all leaves below the water line", but in this case we broke the rule for the effect. 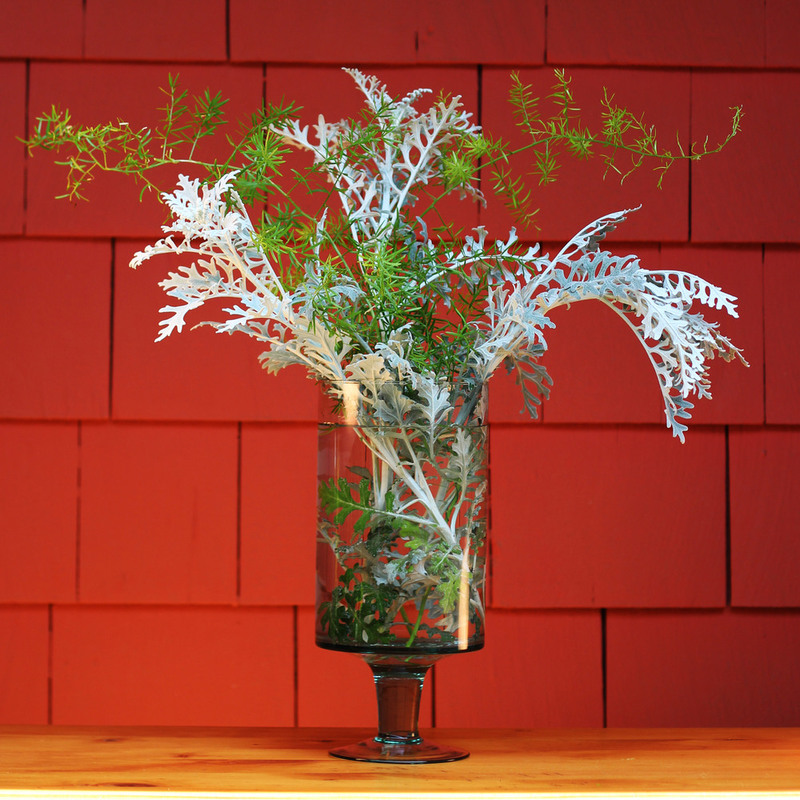 I also added some brighter green with the Asparagus Fern and some long leafy "dusty miller colored" greens for a different shape. Watch out for the nasty thorns on the Asparagus Fern! 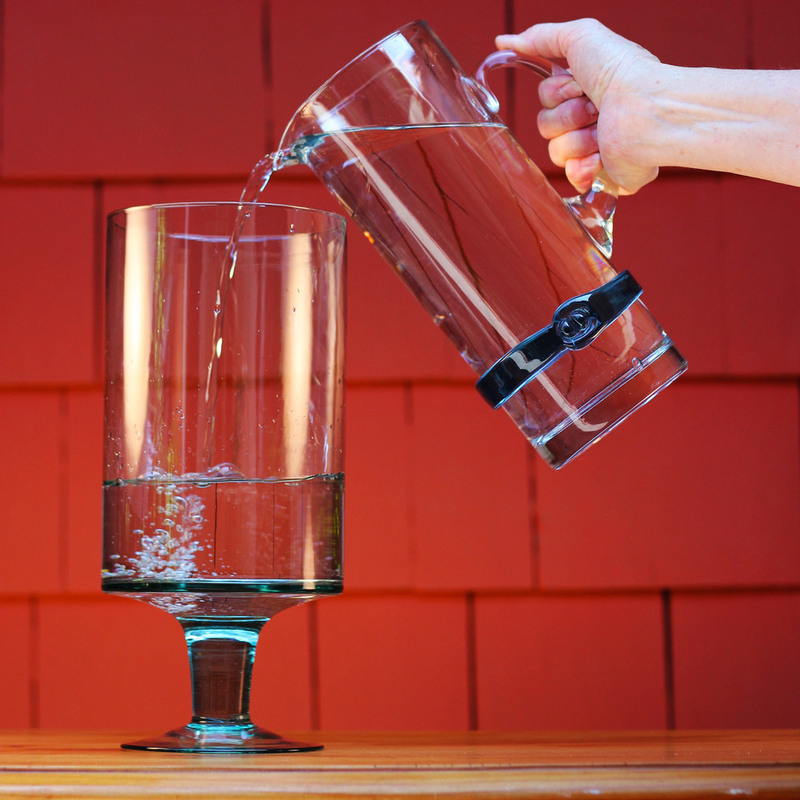 So, if have your flowers, plants, and your blue stemmed glass vase, let's begin. Make the structure for the arrangement. 1 piece Dusty Miller center, 1 on each side. Use floral stripper. 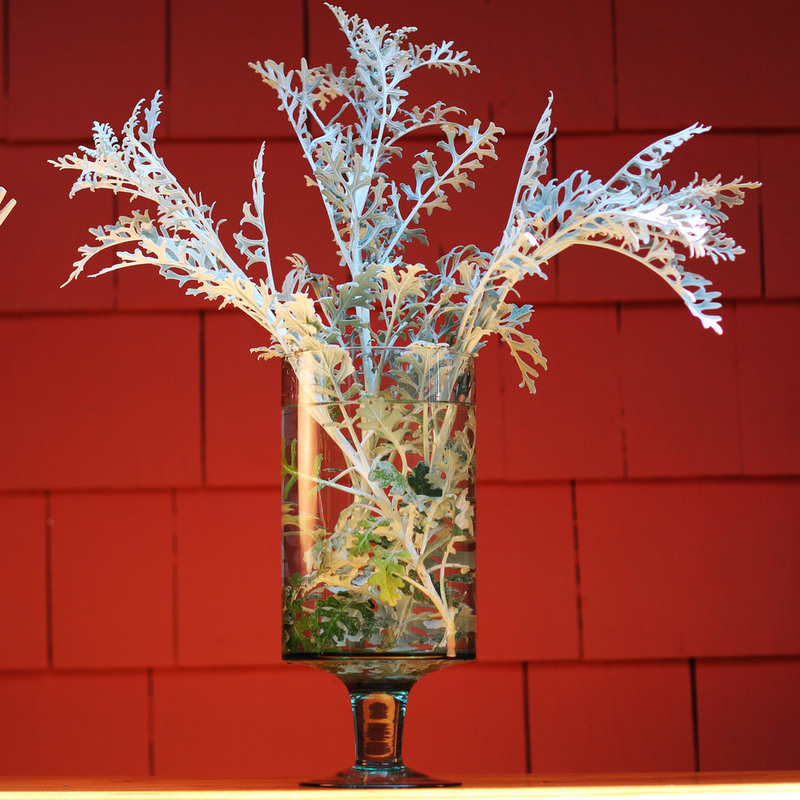 Remove leaves below water line on all but Dusty Miller. 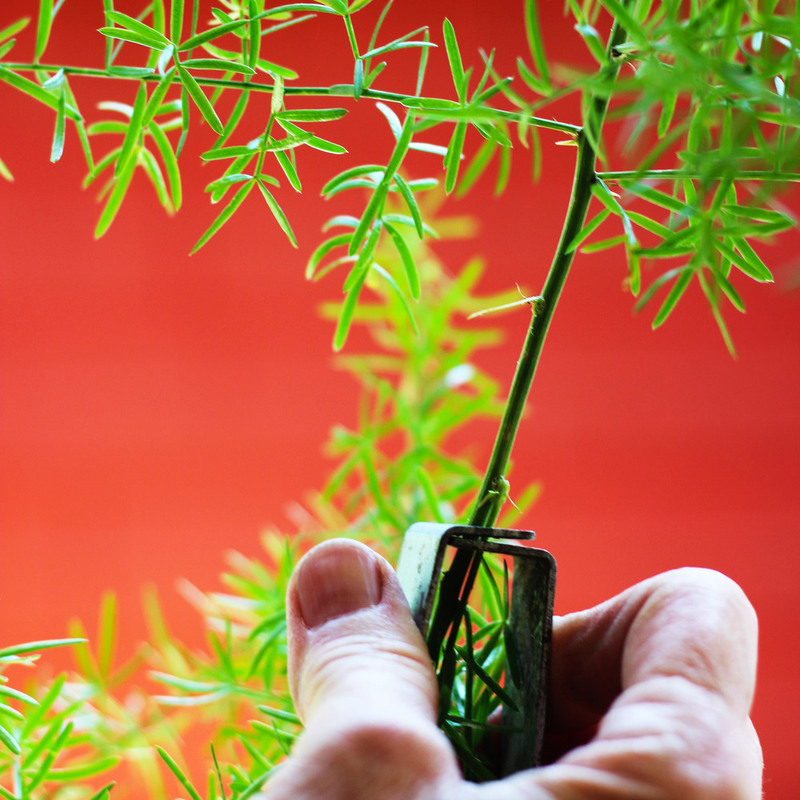 Put 1 Asparagus Fern on each side. Careful, it's pretty wild! Add the stem of Floribundas or spray of roses. You should see roses in front and back. Add x- large white roses. 4 in front, 3 in back. Add focal point flower (fuchsia rose) to lower left. This bush has the largest rose blooms I have ever seen. Add 3 x-large white roses and pink rose to the back. The more intense pink will be the focal point in back. You're finished. Here's the back. This is the finished front. Happy Mothers' Day Mrs. Miller!